This simple, but beautiful recipe was inspired by the abundance of fresh pears in my part of the world now that autumn is fully upon us. The mornings and evenings are chilly and we are looking around for something warm to eat in the morning. This dish is a great alternative to porridge or eggs for breakfast. I used beurre bosc pears, with their intriguing mottled brown skin, and heavy juiciness; perfect for grilling until soft, but still able to hold their shape. What a wonderful way to start an weekend autumn morning. Preheat the grill of the oven to 200C. Slice the pears lengthwise into 6 slices each. Place on a tray and brush generously with the melted butter. 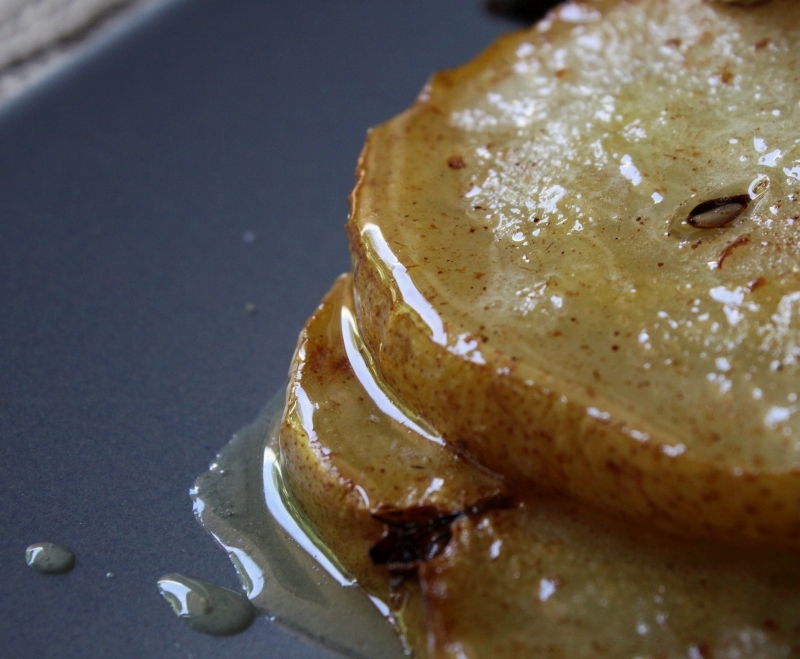 Sprinkle over the cinnamon and grill until the pears are lightly golden and soft, about 5 or 6 minutes. Meanwhile, toast the pecan nuts in a dry pan for a couple of minutes and then chop into small pieces. Warm the honey until it is runny (I do this in the microwave for about 20 seconds). Divide the ricotta between 4 serving plates. 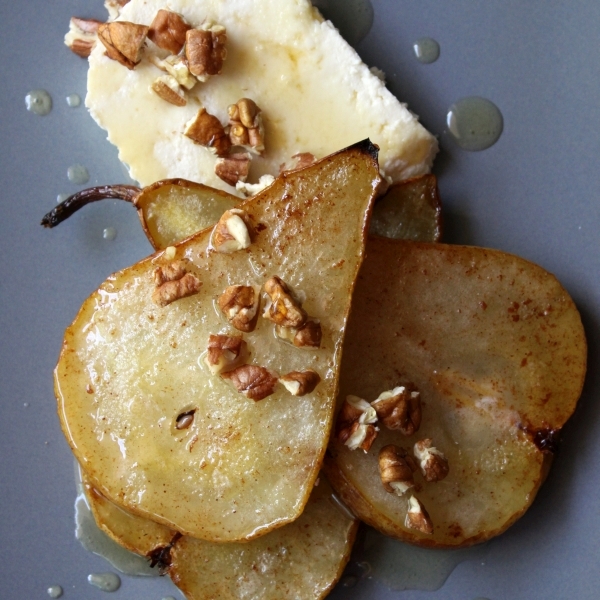 Place 3 slices of pear on each plate, sprinkle over the pecan nuts and lemon zest, and then drizzle with honey. Serve straight away, on their own, or with slices of toasted brioche. They look lovely. I’ll be buying some pears when I’m next at the supermarket!